One last love-themed project before we the big day tomorrow! LOVE BOTS! Save your next online shopping score’s box and you can make this one in five minutes or less. 1. Robot Mobile in eco plastic via DasWoodDesign on Etsy. 2. Robot sleep-sack via Gap. 3. 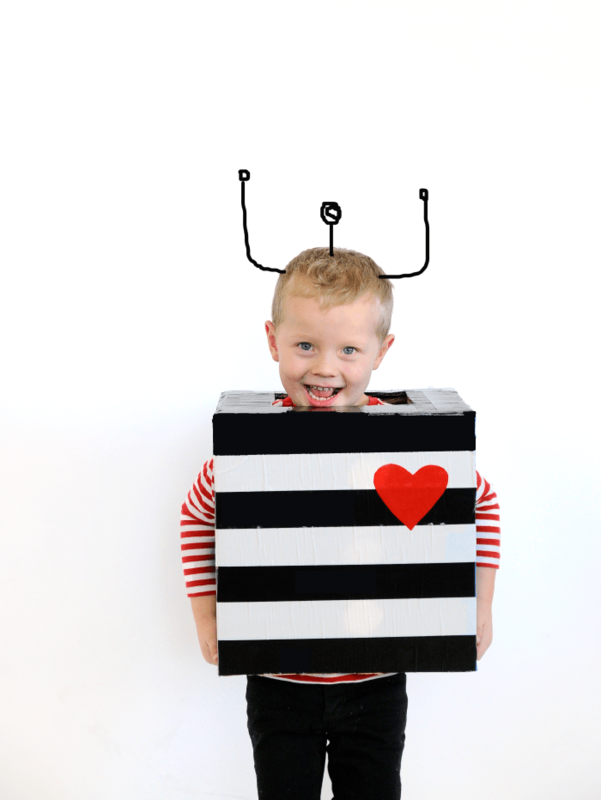 Printable DIY Robots from Caravan Shoppe 4. 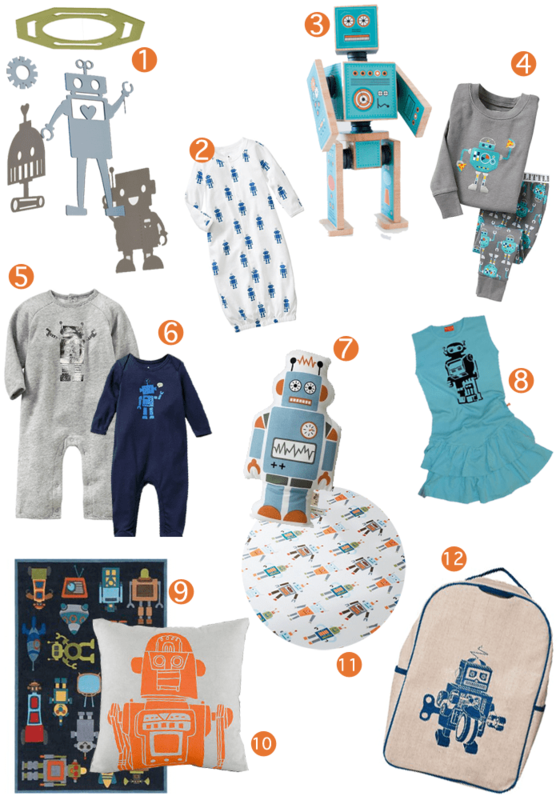 Two piece Robot PJs via Gap 5 & 6. Two onesie options via Old Navy here and here. 7. Robot plush toy via Smallable 8. Robot Dress via Stardust Kids 9. Robot Rug via Kohl’s 10. Robot pillow via Land of Nod 11. Robot bedding via Sheldon. 12. Robot Backpack from Amazon. Is it just us or every time we see a robot we’re singing “Our mental synchronization can have but one explanation…”? Spring, come quick!! We gotta get outside more.